A new tranche of members bills are set to go before Parliament including financial assistance for live organ donors, restricting superannuation for migrants, and holding a referendum of ratepayers before amalgamating local government bodies. Four members' bills have been been drawn from the ballot which decides which bills are considered by Parliament. They include Labour MP Stuart Nash's Local Government Act (Greater Local Democracy) Amendment Bill to require a referendum before amalgamating local councils in any region. National removed the need for a poll of ratepayers in 2012. It is perfect timing for Mr Nash - he is the MP for Napier and the Local Government Commission has just released a controversial final proposal to amalgamate the Hastings District Council, Napier City Council, Wairoa District Council, Central Hawke's Bay District Council and Hawke's Bay Regional Council. Very few Opposition MPs bills make it into law but it will at least give Mr Nash a platform to criticise the process. The fourth bill was NZ First MP Denis O'Rorke's proposal to introduce a pro rata payment of superannuation for migrants and returning expats based on the length of time they have lived in New Zealand. Currently migrants must have lived in New Zealand for 10 years to be eligible for superannuation - a requirement Mr O'Rorke described as "unusually generous" among OECD countries. 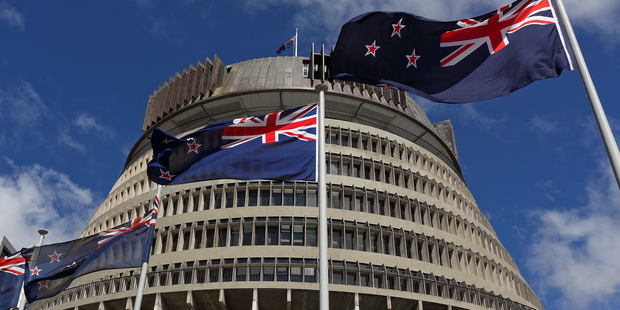 NZ First has criticised that provision, saying it allowed someone who had made little contribution in taxes to benefit from superannuation.Two of the new bills are from National MPs so have a greater chance of passing into law. National MP Chris Bishop's bill provides for financial assistance for live organ donors during their convalescence. His colleague Matt Doocey's bill will require people collecting donations or signatures for petitions on the streets to disclose if they are being paid and who by. It will not apply to those who are collecting for registered charities. It appears to have been partly prompted by the Green Party admitting they had used $75000 of taxpayer money to pay signature-collectors for a referendum opposing asset sales in 2012. A fine of $1000 will apply to any infringements. The four new bill were drawn to replace the four members' bills voted down on Wednesday - including NZ First leader Winston Peters' bill for free health checks for seniors and Labour MP Iain Lees-Galloway's bill to remove the coat-tailing provisions under MMP which allow electorate MPs to bring in other MPs from their party even if the party fails to meet the 5 per cent threshold usually required to enter Parliament. National MP Chris Bishop said his bill would give organ donors the same support as ACC recipients while they recovered, increasing support from the equivalent of the sickness benefit to 80 per cent of the donor's pre-operation earnings. He said he chose to pick up the bill after talking to Sharon van der Gulik, whose son had donated a kidney to her. "Mrs van der Gulik spoke of the financial hardship that her son faced in the six weeks he spent recovering from the procedure. She argued he deserved more. I agree." NZ First MP Denis O'Rourke said his bill was fairer for all New Zealanders. "There are about 80,000 people who immigrated when they were over the age of 50, gained residency, and have become eligible for NZ Super at 65. They may never have worked in New Zealand, paid taxes and contributed to NZ Super. This is unfair to Kiwis who have lived and worked here all their lives." It would also help deal with returning expat New Zealanders who had worked overseas for most their lives but returned to retire. National MP Matt Doocey said his bill would help give people the confidence that when they donated they knew where the money was going and who the person collecting it was paid by. It would not apply to registered charities, such as the Red Cross or Cancer Society. "We've got to stress that Kiwis are very generous and there is great work by great charities. We are not trying to meddle with that or give them obstacles." Labour MP Stuart Nash said he expected to have the support of Labour, NZ First and the Green Party and would work with United Future and the Maori Party to try to get a majority. He said giving local communities the right to say whether they supported amalgamation was important in his own region where opinion was divided on a proposed super council for Hawke's Bay. "My Bill will give ratepayers a say in what happens in their districts and cities."